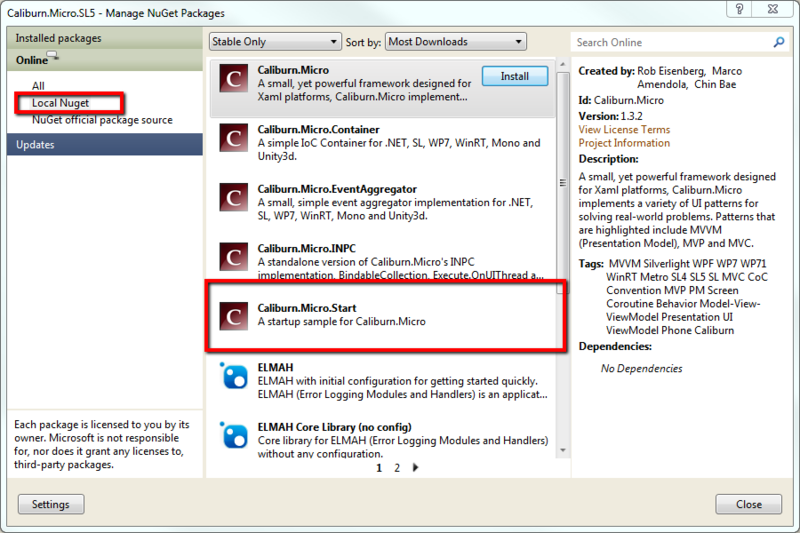 At the time of writing this blog post, the Caliburn.Micro Nuget package (Version 1.3.1) doesn’t install correctly. It adds the necessary references to the Caliburn.Micro assemblies, but it doesn’t add the additional installation files to the project, namely the AppBootstrapper.cs and MainPageViewModel.cs. Thankfully, this is a known issue with the Caliburn.Micro package (it is listed here) and is actually as a result in the way the Nuget itself changed. Now, this problem has actually already been fixed in the latest Caliburn.Micro source code (which you can find here) but due to some remaining WinRT issues, the 1.3.2 version of Caliburn.Micro has not been released yet. So, what can you do if you want to get a working Nuget package? The answer is to build the source code yourself. Now, this may seem a little scary, but it really isn't and the following steps will work you through what you need to do. The first decision that you will need to make is whether you want to Clone the Caliburn.Micro source control locally to your machine, or whether you just want to download the source code. Due to the fact that I am lazy, the steps outlined here are going to talk you through the downloading route, but if you are interested in cloning the repository take a look at this article here. In order to open the second solution file, you will need to have the Silverlight Tools and Windows Phone 7 SDK installed. Depending on what frameworks you are targeting, i.e. Silverlight, Windows Phone 7, WinRT, open the correct solution file, and switch to doing a “Release” build. Build the solution, and ensure that there are no errors. The act of building the solution actually only creates the output assemblies, it doesn't generate the Nuget package. To be clear, at this point, you can build either solution, or both. The Nuget package created works on whatever it can find, and will place only the output assemblies that it can located in the resulting Nuget package. Go back to the root folder of the zip file, and find the “nuget” folder. In here, you will find a PowerShell file called “create-packages.ps1”. 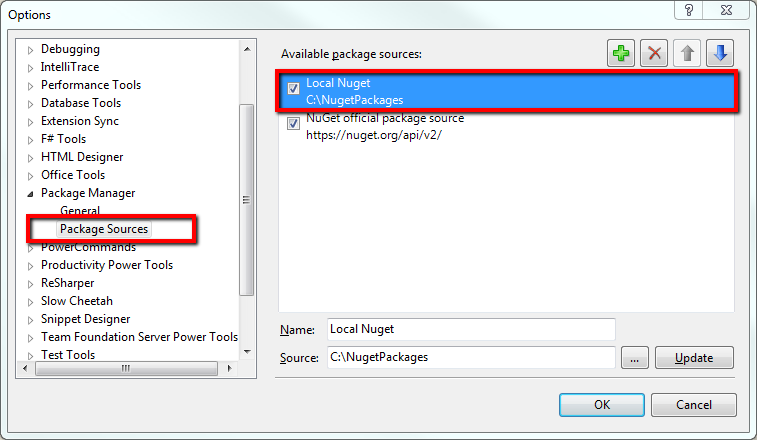 Why are there two Nuget packages? In version 1.3.1 of Caliburn.Micro, it was assumed that everyone who was using the Nuget package wanted the additional files that it included. This wasn't always the case (as some people roll their own AppBootstrapper, etc) and as a result, they would have to delete the unwanted files. To work around this, the Caliburn.Micro assemblies are stored in the “Caliburn.Micro.1.3.2.nupkg” package, and the additional installation files are stored in “Caliburn.Micro.Start.1.3.2.nupkg”. To complete the story, the “.Start” package takes a dependency on the main “Caliburn.Micro” package. This way, a user has a choice of what they want to use; very clever!